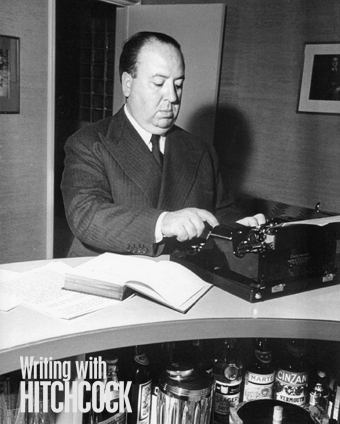 Early in his career Hitchcock said that his method of preparing a screenplay with his writers generally stripping the story down to the bare essentials which he would outline on a single page. The next step involved fleshing out that outline into a prose treatment of about 60 to 90 pages, from which the final screenplay with dialogue developed. Hitchcock said, if he was successful in the process, someone creating a synopsis from the finished film would have essentially the one-page synopsis he’d created at the beginning. 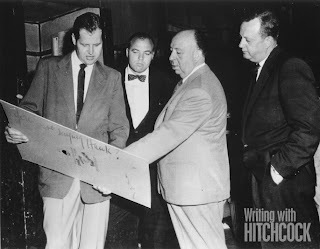 With that in mind, I thought we’d start an on-going thread on our Facebook page where I will pitch a logline for each Hitchcock film—a concise, one-line description of the movie including its essential hook—then we’ll discuss how successful Hitchcock and his writers were in carrying it out. 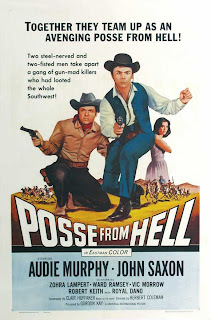 A bogus spiritualist and an amateur actor hope to con a wealthy woman out of $10,000 by locating her sole heir—a nephew given up for adoption under shady circumstances—but find they are in deep water as the nephew turns out to be a kidnapper who’d rather not be found. Critique or defend the finished film, the story elements, the dialogue, the performances, or whatever you like. And if you'd like, write a logline of your own, I think it will be interesting to see just how many ways we all come up with to capture the essense of the same story. Join the conversation and enjoy! Hitch-Collaborators I've Encountered, Part II — Or Why I Didn't Call This "The Man Who'd Spew Too Much"
Before deciding to make this a two-part entry and include a few words about screenwriter Joseph Stefano, I had intended this piece to be strictly about Hitchcock's assistant director and associate producer Herbert Coleman and was going to title it something along the lines of The Man Who'd Spew Too Much. But thinking twice, I know that Coleman was merely trying to salvage his own reputation, albeit at the expense of someone else's, namely John Michael Hayes. Henry Bumstead, Doc Erickson, Hitchcock and Herbert Coleman during production of The Man Who Knew Too Much. I have mixed feelings about my experience with Herbert Coleman. I think Doc Erickson said it best when he told me that, "Herbie was probably the greatest assistant director who ever lived." I believe that to be true. The extent to which Alfred Hitchcock and Alfred J. Hitchcock Productions relied upon Coleman during those six years from 1953 to 1959 is undeniable. The speed and the quality of Hitchcock's output during that period is due in no small part to the fact that Coleman was able to deliver Hitchcock what he wanted and needed in a timely and cost-effective manner. But speed and efficiency as an assistant does not make one a creative force or someone with a vision—at least not at Hitchcock's level. 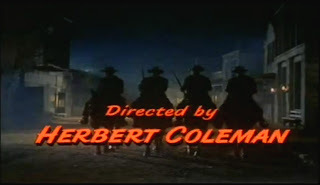 Herbert Coleman had a gift for assisting others achieve their vision and that gift meshed with Hitchcock best. 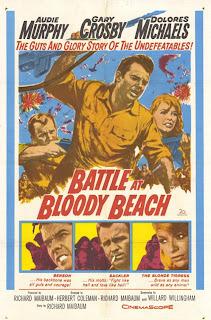 Coleman hoped to spread his wings as a director and felt he'd never get the chance if he continued with Hitchcock. 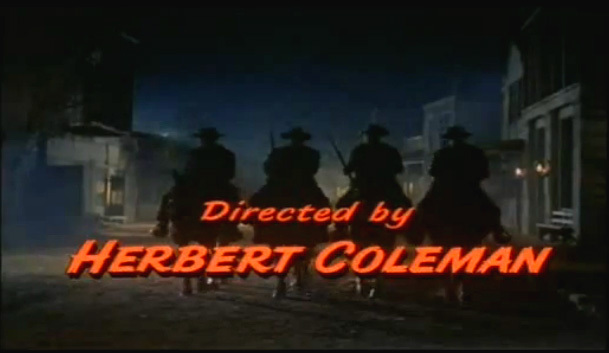 That said, it appears to me that Herb Coleman had long held the dream of becoming a producer-director in his own right. And after six faithful years as part of the Hitchcock troupe he felt that he deserved that chance. 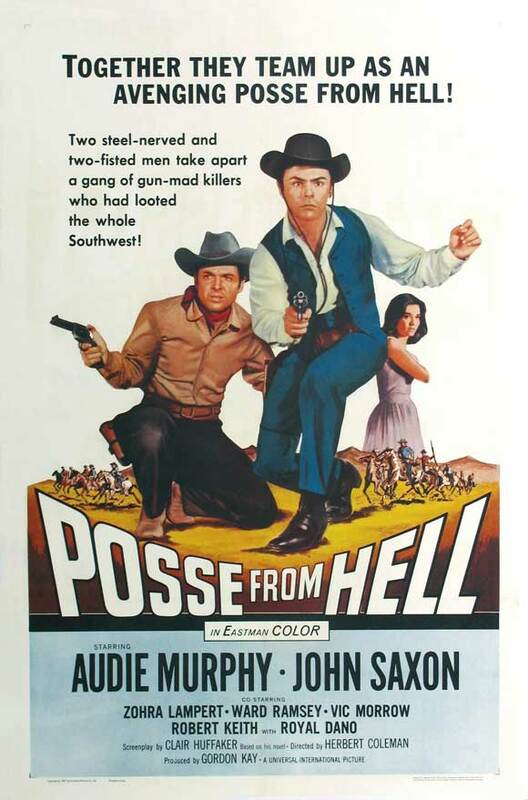 But the problem was he possessed a very different skill set than William Wyler or Hitchcock. 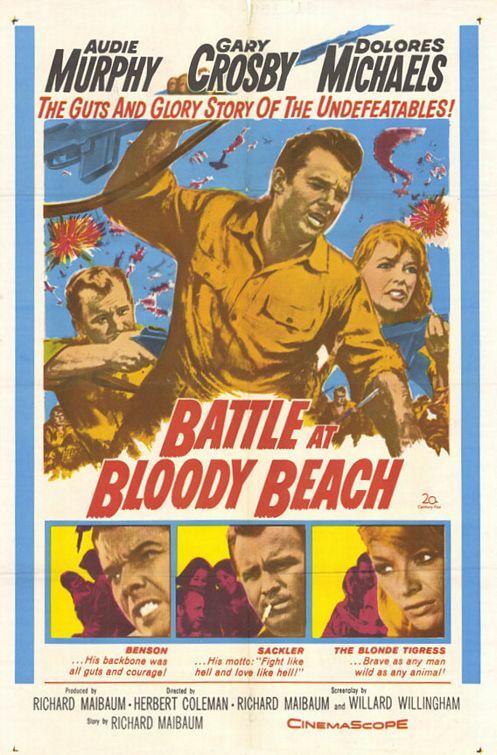 A look at Posse From Hell and Battle at Bloody Beach , Coleman's two feature films as director, reveal a talent for B-pictures at best. There seems little wrong to me with what Coleman told Spoto. Nevertheless Coleman related to me during our interview, "That book caused me a lot of problems. I lost some friends in England. I lost some friends at Universal. People who read it, who didn't really know me very well, who were not friends, but were business friends, just couldn't believe that I would say such things about Hitch." In later years Coleman sought to mend those fences by revising his story and trying to rewrite history and his own statements by seeking to get his memiors published. Coleman told me at the outset that he would be guarded in our interview so he wouldn't reveal any of the "bombshells" he was planning to include in his own book. Nevertheless he ended up tipping his hand to what I felt would be the most damaging outright fabrication in his then yet-to-be-published book, and this allowed me to obtain and include documented proof to refute his claims. 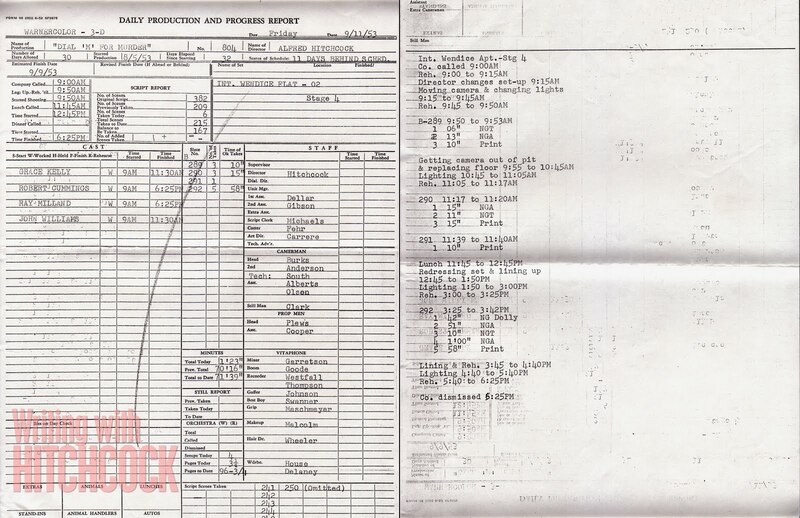 This was one of the reasons I went into such detail on when and how and to whom John Michael Hayes delivered his completed treatment for Rear Window in Writing with Hitchcock . Yes, I was writing to refute something that hadn't even been published yet. September the 12th at 5:30 in the afternoon. And they said, how in the world did you remember a thing like that? I said, "You know, all the years of our marriage, one thing I always insisted on was a party for my wife on her birthday." And I said, "September the 12th is her birthday, and the year before was the only time in all those years that I missed having a birthday party for her was when I was in Rome on Roman Holiday with Willy Wyler. That was in 1952. And I was determined that in 1953...so I arranged a big party for her that night, and here I was stuck in the studio. And I lived in Newport Beach which is sixty miles away. And I was fuming because I knew it was coming in and yet it wasn't coming so my assistant and I were sitting there waiting for it. And finally it came at 5:30. I don't know if it was exactly the minute, but about 5:30 in the afternoon, and I sent my assistant up to the mimeograph with that story right then." Those two lawyers, the ones that were suing, the story people, and the Hitchcock people, both of them sat there with their mouth open. That makes a great story. But there are a few holes in Coleman's tale. Ones which I couldn't dismiss as icebox talk. 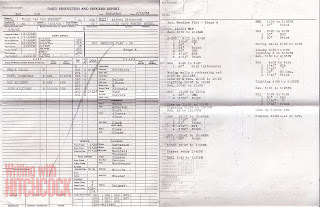 First of all, a simple look at the production correspondence showed that John Michael Hayes had actually turned in his completed treatment on September 11, 1953, a Friday. He turned it in to his and Hitchcock's agency at the time, MCA Artists. 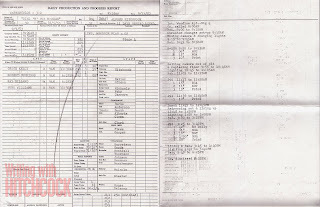 The agency then delivered the treatment to the story department at Paramount where the studio typing pool retyped it on September 12, hence the date on the "official" treatment. Why all this handing off from writer to agency to departments at the studio? Quite simply, Hitchcock hadn't yet taken up residence on the Paramount lot. Hitchcock wasn't busy dicating the treatment to Hayes under the observation of Coleman as he was eleven and twelve days behind schedule at Warner Bros. filming Dial M for Murder . 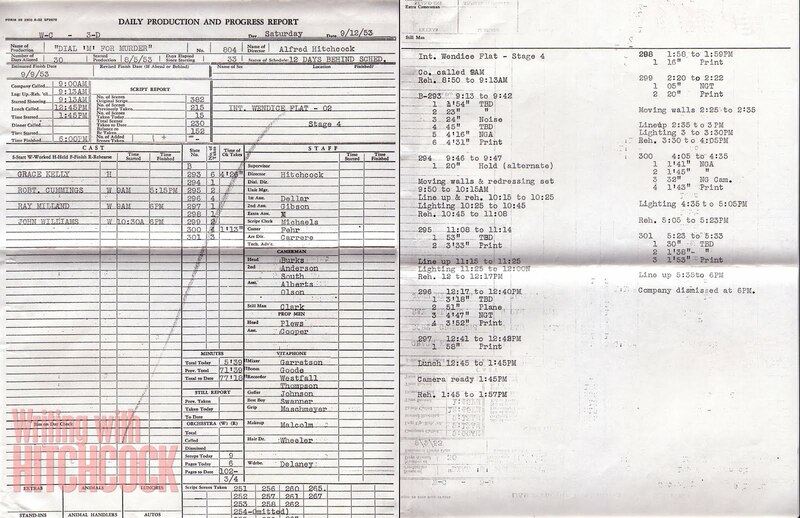 Dial M for Murder Production Report for September 12, 1953. I finally did get a chance to read Coleman's memior The Hollywood I Knew , and as I suspected it's full of instances where Coleman paints himself as the hero. Wherever things went well, he credits himself with advising Hitchcock to take that course of action. When Hitchcock makes a mistake in casting or on a production matter, Coleman says Hitchcock had ignored his advice. Funny thing, Coleman claims he wrote his book to undo damage to Hitchcock's reputation he felt had been done by Donald Spoto. Yet, to me, Coleman's memoir paints a portrait of Hitchcock far worse. Did he really expect the reader to come away wondering how Hitchcock was able to get as far as he did before meeting Coleman?! ?